What's up with free iPod games? 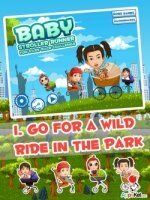 There is nothing better than playing cool games on your iPod, anytime and anywhere. Except getting these games for free. There are thousands of games you can download from the iTunes store or several other places on the web. You can even create a game all by yourself. Instructions on how to create your own game can be found in the iPod software section of iTunes. But, in the meantime, try one of the great free iPod games created by other developers. Temple Run – treasure hunting adventure. When the hero finally gets the treasure, he has to navigate his way through a maze of booby traps to escape. Subway Surfer – lovable Coco surfs through Paris. In game purchases available include the starter pack, coins and keys. Soccer Showdown 2015 – high soccer action. In game purchases include gold packs, barrel of gold and pro pack. Traffic Rush – rush hour traffic without the risk. Rated as the best game ever. Slingshot Cowboy – shoot the bulls before they get you. 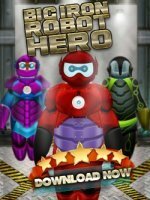 Rated as one of the top ten of all free iPod games. Dino Hunter: Deadly Shores – hunt or be hunted. An exciting dinosaur hunting adventure. SPY Mouse – help the stealthy mouse gather up some cheese. In game purchase options include more cheese! Eternity Warriors 2 – the battle for Northern Udar continues. In game purchase options include coin and gem packs. Battle Camp HD – fight off raging dragons and fire breathing warthogs. Players can buy more coins, if needed. Happy Street – build the happiest village in cyberspace. What you create is only limited by your imagination. Buy some flooz or cards to help your progress. Zombie Gunship – sit in the gunner seat of a heavily armed AC-130 and destroy the endless waves of zombies before they get the survivors. Additional coins can be purchased. Airplane – fly the plane to various airports to deliver the cargo and passengers. In game purchase options include more passengers, military packs and F18 hornet. Sketchman – jump, glide and shoot your way through enemies and hazards. Complete missions to earn coins, or buy more, if needed. Smash Hit – take a weird journey through an alternate dimension. Glide to the music as you smash everything in sight. Users can upgrade to the premium version. Bubble Seasons – shoot your way through bouncy bubbles as you rescue little critters and fight the Evil Bubble Wizard. Users can buy more coins and gems to help in the battle. Twister – traditional twister game played with your fingers. Chess – brush up on your strategies or learn some new moves. Amazing graphics. Dominos – all the fun without all of those little blocks to carry around. Trainyard Express – hundreds of puzzles to solve. Easy to learn. Guess the Character – two player game. Your opponent must guess which character you selected. Texas Poker – play with real people. 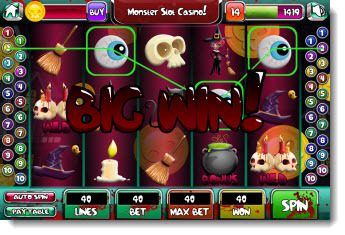 Slotomania – try your luck with non stop slot machines. BlackJack Run – handy version of a timeless classic. Solitaire – play solitaire anytime and anyplace, without shuffling or dealing. Yatzy Addict – addicted to Yatzy? This is the game for you. SongPop – guess your favorite songs and artists. In game purchase options include more coins and retries. 4 Pics 1 Song – guess the song from the picture clues. Purchase options include more coins and removal of wait times. The Impossible Game – jump and glide to the end of the level. Micron – a unique blend of rhythm and puzzle gaming. Deflect bullets to help guide you through to the end. Guess Your Songs – guess the song from a short clip. Deluxe version available for a small fee. 4 Pics 1 Word – guess the word using the four picture clues. Highly addictive! Coins are earned, but can also be purchased for additional clues. Icon Pop Quiz – guess the famous person, or character from a popular tv show or movie. Purchases available include additional tokens, unlocked levels and ad free playing. Words in a Pic – find the word that matches the picture. Trivia Crack – test your knowledge and challenge your friends. Geography Quiz Game – challenge your friends to a trivia game of knowledge. This is a small sample of the free iPod games you can download and enjoy over and over again. Play by yourself or challenge your friends to non stop action and excitement! Many of these games are also compatible with iPad and iPhone, so you can have a great time no matter which great mobile device you own. 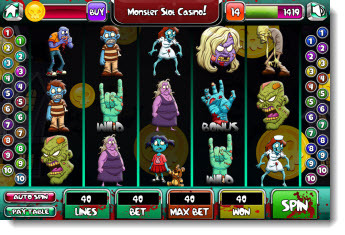 Click here to go to the main iPod games page.